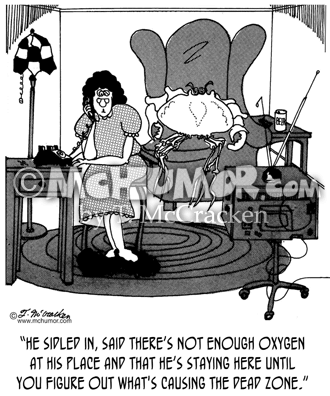 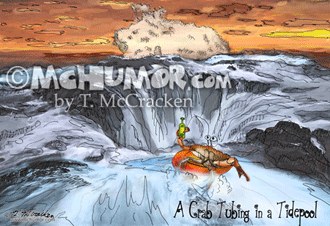 Drug Cartoon 6527: A crab looking at smiling clams at the bottom of the ocean saying, "Hmphh. 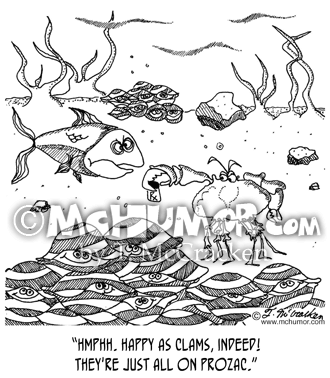 Happy as clams, indeed! 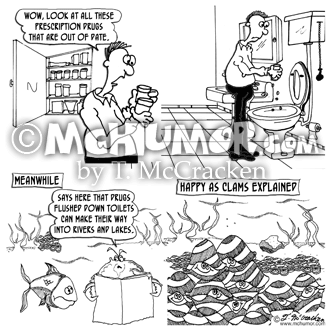 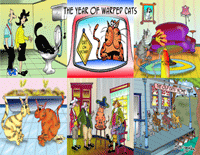 They're just all on Prozac." 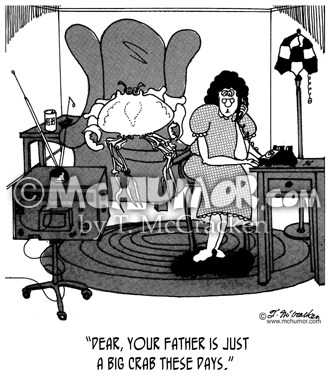 Crab Cartoon 5167: Wife on a phone saying of a huge crab watching TV, "Dear, your father is just a big crab these days." 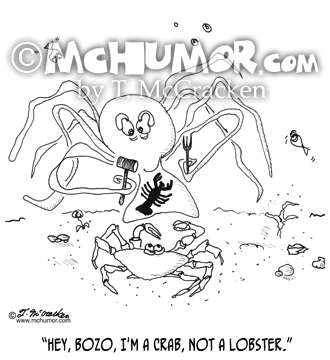 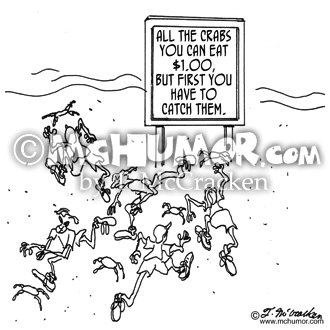 Crab Cartoon 8751: "A crab concerned about getting sun burnt." 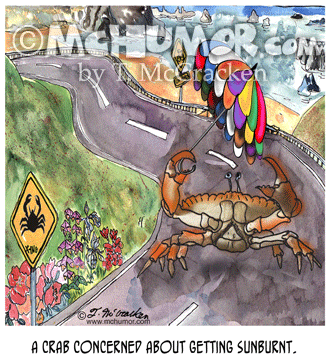 A crab with an umbrella crosses a highway. 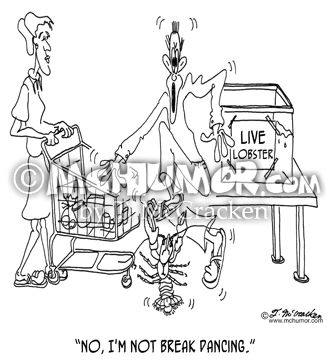 Lobster Cartoon 1298: A man in a grocery store with a lobster pinching his foot says to a woman, "No, I'm NOT break dancing." 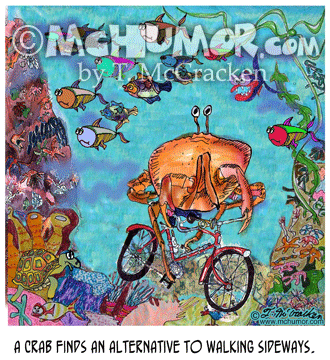 Crab Cartoon 0084: A nerdy looking man holds flowers in one hand and has a big claw on the other. 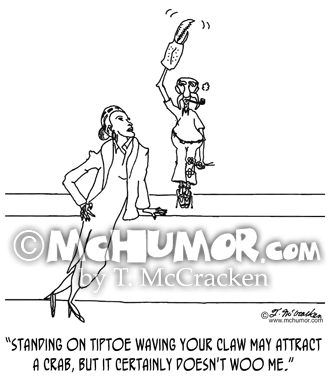 A sophisticated looking woman says to him, "Standing on tiptoe waving your claw may attract a crab, but it certainly doesn't woo me."